The super rugby 2019 is set to begins following 18 rounds and 127 games marked in the table under below. SAANZAR (organising body of super rugby) have already released the schedule for 2019 Super rugby season which will start on Friday, February 15. The first match of the season will happen on Friday when the Chiefs host the Highlanders in Hamilton, New Zealand. The tournament’s 18 rounds will be played from February 15 until June 17. The finals commence with qualifying finals on Saturday 22 June, while the final will take place on Saturday 6 July. While the Rugby World Cup 2019 kicking off later in the year there will be no internationals which will halt the momentum of the Super Rugby Live – season will run uninterrupted for 21 weeks. There will also be a dedicated start to the tournament in Round 1 with a full round of seven matches to kick-off Super Rugby. From the five countries the super rugby tournament’s 15-team divided on 3 conferences – Australia, New Zealand, and South Africa. The Sunwolves from Japan joins the Australian conference while the Jaguares from Argentina joins the South African conference. Australia Conference: Brumbies, Rebels, Reds, Waratahs, and Sunwolves from Japan. New Zealand Conference: Blues, Chiefs, Crusaders, Highlanders, Hurricanes. South African Conference: Bulls, Lions, Sharks, Stormers, and Jaguares from Argentina. The 2019 super rugby draw remains the same (home and away) as last year. That is in the group stages, there will be 18 rounds of matches, where each team will play 16 matches and have two rounds of byes for a total of 120 matches which will be followed by a seven-match, eight-team finals series. 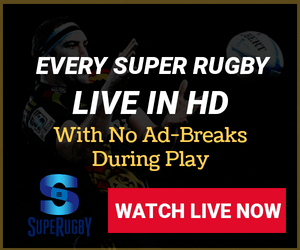 Due to different zones, LiveStreamRugby has listed here the super rugby fixtures 2019 with the NZ and AEDT/AEST time. Here you will get live super rugby all-tournament match dates, kick-off times, match venues as well as live scores. Here you can see two times for each matches, first NZ and second AEDT/AEST Times are below. Note: Some Dates are available like “19/18 May or 16/15 June” that means first date for NZ time and Second dates for Australian standard time.